Late in the afternoon, we visited Horseshoe Bend which is a horseshoe-shaped meander of the Colorado River near the town of Page. 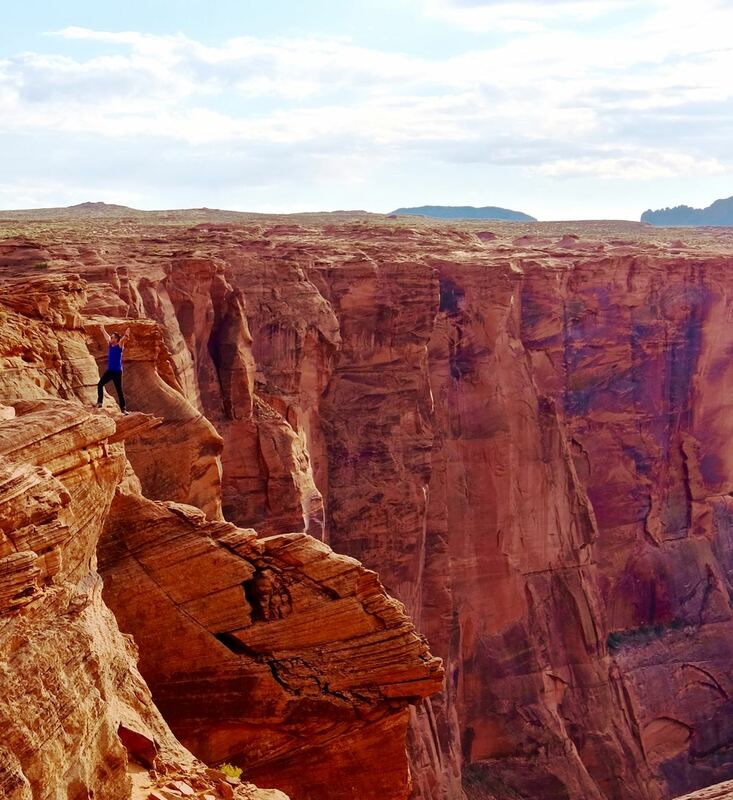 You have to go up a sandy path to the top of the hill and then down a more rocky path to reach the rim of the canyon with a view of Horseshoe Bend from 1,000 feet above. You will need a wide-angle lens (I used my Fujifilm 10-24 f4 lens equivalent 15-35mm in the full frame world) to get the entire scene. There are no railings and it was a bit nerve-wrecking walking up to the edge to look down. This is as close as I can get to the edge without my legs shaking out of control. 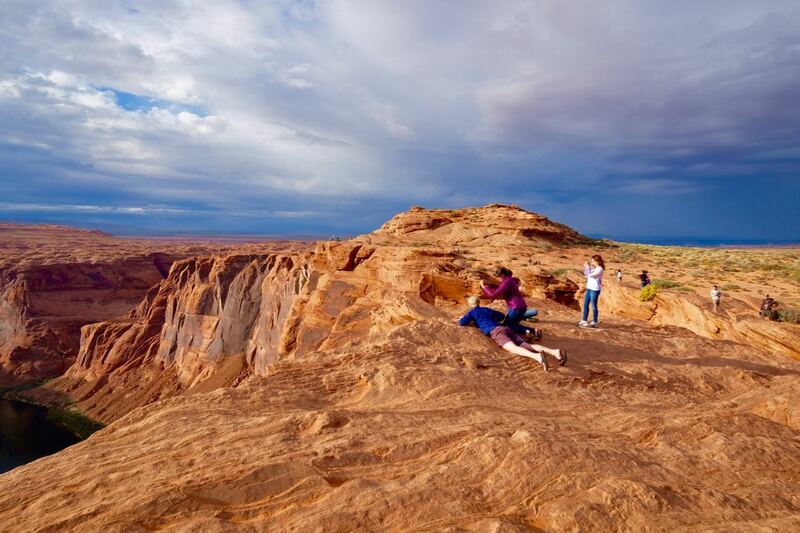 Some people lie down and crawl out to the edge to have a better view of the bend. There are also dare devils who stand very close to the edge for photos. Nerve wrecking just looking at people standing so close to the edge! 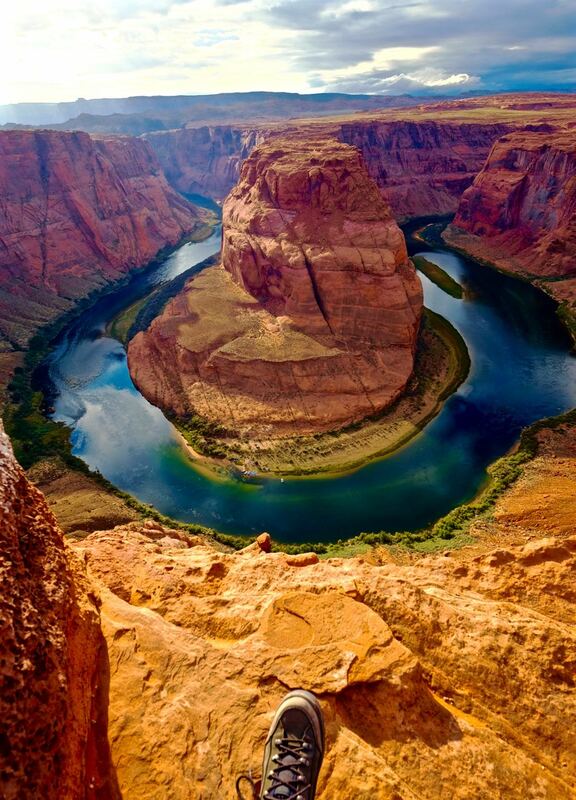 Most people say it is best to visit Horseshoe Bend early in the morning or around sunset time because the light casts more interesting shadows and the sky has more color. But having said that, we drove by at other times of the day and it seems always to be packed with tourists.